Turn Baltimore into a giant game board with this fun scavenger hunt adventure! This challenge combines the excitement of 'The Amazing Race' with a 3-hour city walking tour. 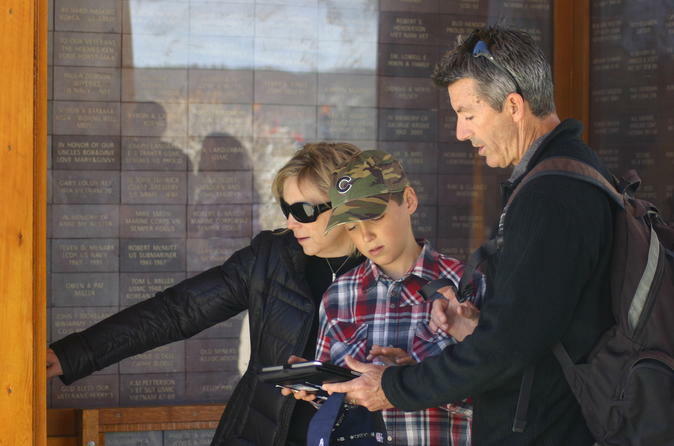 With your smart phone as your virtual guide, teams make their way among well known and overlooked gems of the city, solving clues and completing challenges while learning local history. Note: Pricing is per individual, but teams must book together in order to be included in the same adventure. The adventure begins at the Maryland Science Center within the Inner Harbor. Just rev up that smart phone and see where it takes you on this 3-hour challenge. This well-designed course will have you venturing our along the harbor and walking to interesting and historic locations. See some great sights while having fun and finding hidden gems of the city, including to Little Italy and the Flag House. Take some time during the tour to stop for a bite to eat (at own expense) or simply enjoy the best of this great harbor city. Great for families, friends and those ready to have fun on a scavenger hunt adventure!